South Korean President Moon Jae-in said Monday that world powers needed to reassure North Korea's Kim Jong Un that he had taken the right decision to commit to denuclearisation on the Korean peninsula. Moon told Le Figaro newspaper, in comments published in French, that Kim had "expressed his frustration at the continued scepticism of the international community" during their talks. 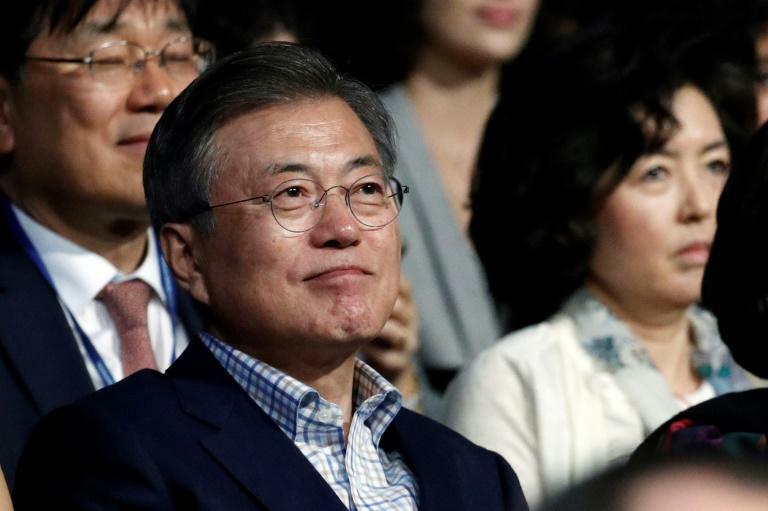 "We have to reassure Kim Jong Un that he has made the right choice in denuclearising and we need to support his desire for durable and solid peace," Moon added. But Moon defended his strategy, saying that "despite his young age, Kim Jong Un has demonstrated sincerity, simplicity, calm and politeness" during their talks, which explained the rapidly warming relations between the one-time foes. The two countries announced Monday that they will hold a groundbreaking ceremony for the reconnection of their railways and roads as early as next month in yet another sign of the burgeoning ties. Moon, a Catholic, is set to meet the pope on Thursday and said he will personally convey Kim's desire for the pontiff to visit North Korea.